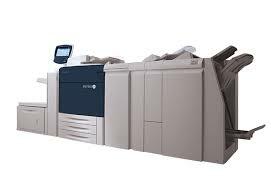 Bring Brilliant Full Color Printing and Variable Data to Your Short Run Documents. To meet the demand for short run color printing and quick turnaround, Farley Printing expanded into the digital market. Equipped with a Xerox 770 Digital Color Press designed to make any color project take flight and a Xerox Versant 2100 Press built for high-speed digital printing needs, we have the solution you desire. Variable Digital Printing (VDP) uses high-speed systems to collect a customer's information from your database, develop a message specific to them and then print a custom graphic that drives home a personal message. This is all done in real-time during the printing process so that each piece is customized for each customer.